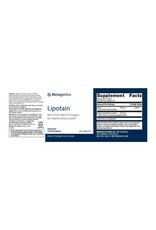 Lipotain ® is a formula designed to help maintain healthy blood lipids by supplying 500 mg of niacin as inositol hexanicotinate per serving. This unique, sustained-release form of niacin is formulated to be effective without the uncomfortable adverse effects associated with conventional niacin, such as flushing. 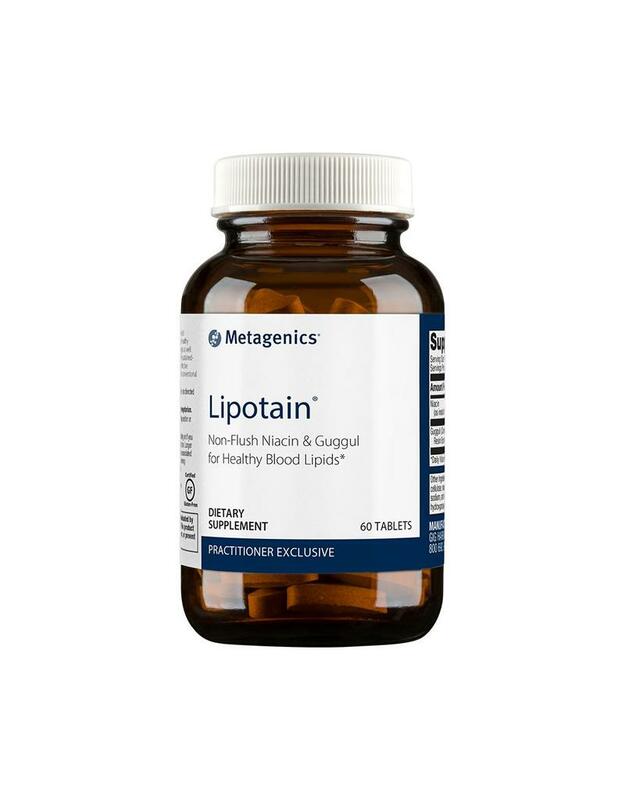 Lipotain also features a standardized extract of guggul resin, to support healthy blood lipid levels already in the normal range and complement the activities of inositol hexanicotinate. 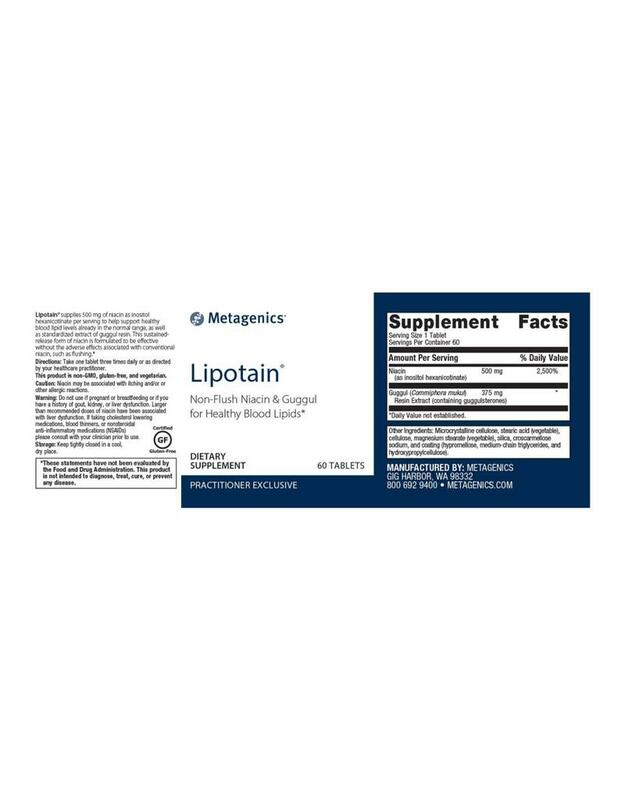 Other Ingredients: Microcrystalline cellulose, stearic acid (vegetable), cellulose, silica, magnesium stearate (vegetable), croscarmellose sodium, and coating (water, hypromellose, medium chain triglycerides , and hydroxypropylcellulose). Caution: Niacin may be associated with itching and/or or other allergic reactions. 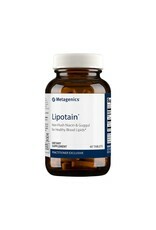 Warning: Do not use if pregnant or breastfeeding or if you have a history of gout, kidney, or liver dysfunction. Larger than recommended doses of niacin have been associated with liver dysfunction. If taking cholesterol lowering medications, blood thinners, or nonsteroidal anti-inflammatory medications (NSAIDs) please consult with your clinician prior to use. Storage: Keep tightly closed in a cool, dry place.